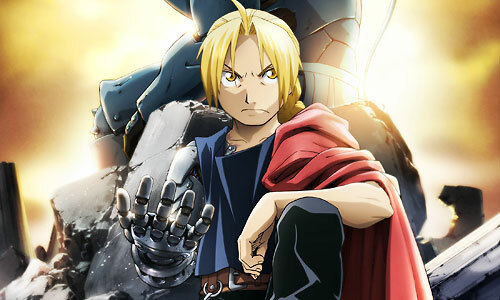 Stream anime episodes for free, you are watching Full Metal Alchemist: Brotherhood – Episode 32 English subbed online and free episodes. Anime Episode guide, Chapter Full Metal Alchemist: Brotherhood – Episode 32 English sub The Führer’s Son As May heads off towards the North with one hooded person, Scar escapes with another to the West. General Grumman, disguised as a woman, meets up with Roy to discuss current matters. Upon hearing that Grumman saw May at the train station, Roy asks Armstrong to pass the message on to Ed, who had decided to look in the library for information on alkahestry.